Patient-Centered, Team-Driven Problem Solving. Individualized Education. 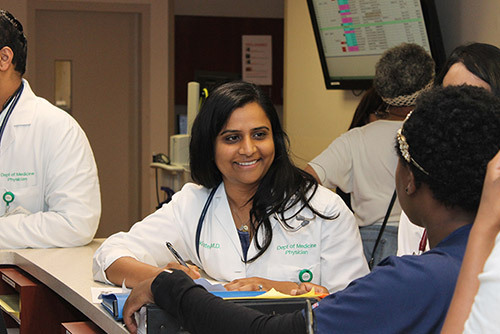 At Greater Baltimore Medical Center (GBMC), medical residents have the opportunity to acquire hands-on experience in a friendly, supportive and collegial atmosphere at a community hospital with an academic feel. 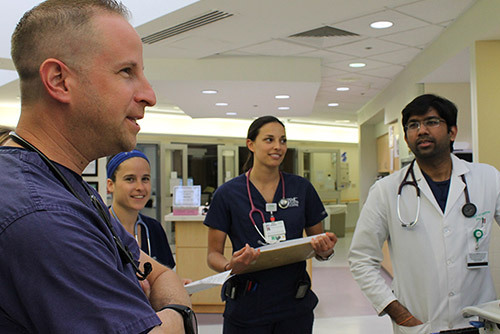 GBMC's fully accredited Internal Medicine Residency Program emphasizes a team-driven, patient-oriented approach to medical problem solving with the organization's vision in mind: "To every patient, every time, we will provide the care we would want for our own loved ones." 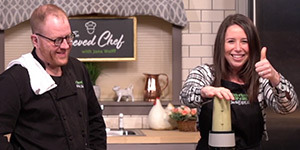 While promoting teamwork, the program also stresses the importance of individualized education, connecting each resident with an advisor who pays meticulous attention to that resident's individual goals and needs. Read more about our program philosophy. 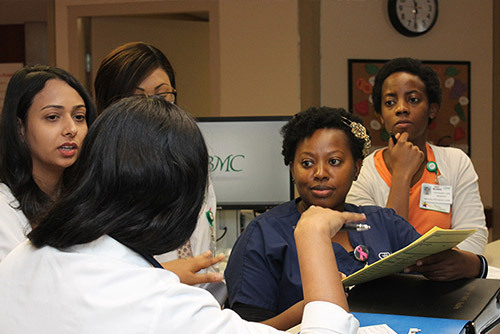 GBMC is located in a rich environment of world-class academic institutions. Its close proximity to several of the nation's most renowned academic healthcare systems allows residents to experience an intimate community setting while gaining competitive skills usually only acquired in a larger institution. Our formal affiliation is with the Johns Hopkins University School of Medicine. 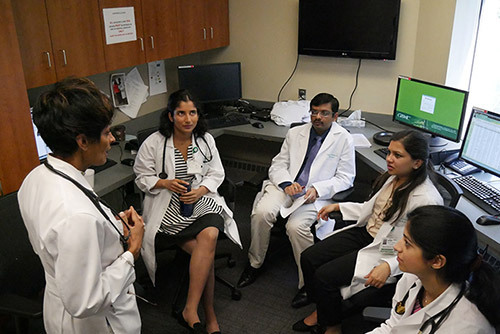 Our PGY2 residents all rotate through Neurology at Johns Hopkins and Cardiology Consults at Johns Hopkins Bayview Medical Center, and many others do research and clinical electives with faculty there. Johns Hopkins medical students frequently rotate on our medical teams. 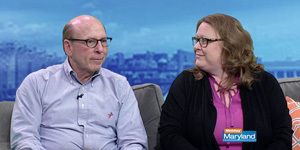 Our core faculty members, from various distinguished backgrounds, are unified by their commitment to teaching and their devotion to the residency program. All faculty members have open door policies, work closely with the residents and directly observe their clinical skills in order to provide useful feedback to help them grow as physicians. 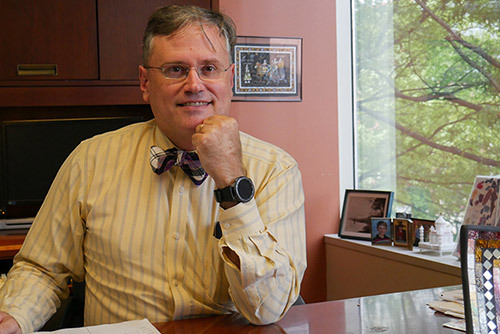 Promoting a strong learning experience, faculty members are also dedicated to preparing residents for highly competitive fellowship opportunities. 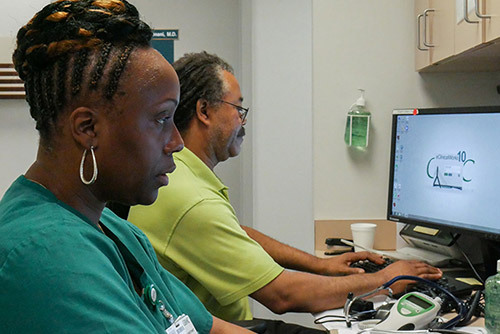 GBMC is on the leading edge of the utilization of healthcare information technology, from electronic health records (EHR) and patient portals to computerized provider order entry (CPOE). These advancements have enhanced patient safety as well as outcomes, allowing physicians and care providers to better track and coordinate each patient's care. In 2016, GBMC was proud to join the EPIC family of EMRs. Medical students with experience using EPIC are particularly encouraged to apply. 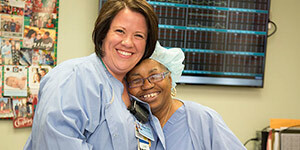 GBMC has fully embraced the concept of the patient-centered medical home. 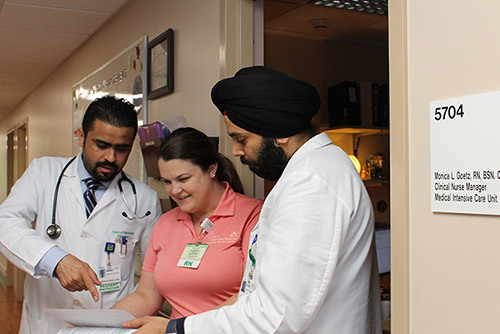 All of its practices, including the Internal Medicine Residency practice (referred to internally as "the clinic"), have been recognized as level 3 Physician Practice Connections-Patient-Centered Medical Homes (PPC-PCMH) by the National Committee for Quality Assurance (NCQA). This means residents practice with full support from not only their attending physicians, but also a care manager, care coordinator and nurse practitioner, allowing residents to deliver a degree of care that many others cannot. The clinic's innovative design maximizes residents' relationship with patients while also protecting them in their inpatient duties. 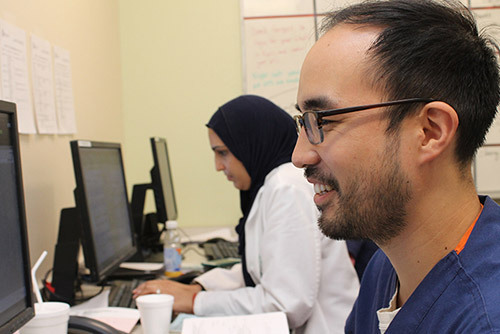 The Internal Medicine Residency program combines quarterly block clinics with weekly or biweekly appointments, which are filled only if a patient needs to see his or her resident. Residents only come to clinic when needed, but patients feel their physician is always accessible. 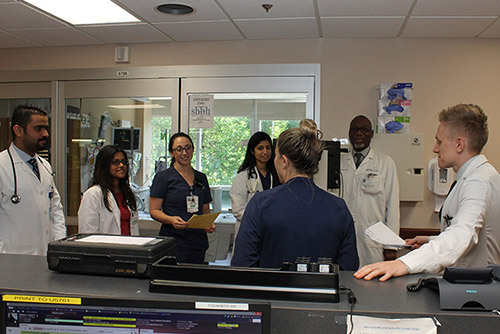 Although designated as a primary care program, the leaders of the Internal Medicine Residency program believe the primary care approach trains residents in the longitudinal management skills that are critical in all specialties. 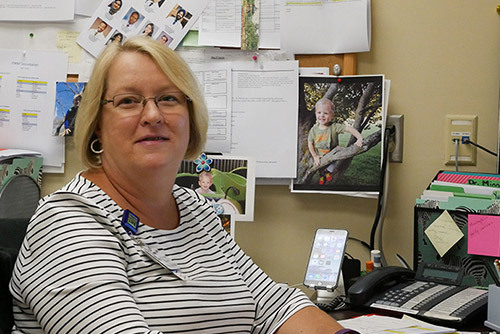 For a select group of residents interested in a long-term relationship with GBMC, a special track is being created that integrates central clinic experience with an additional continuity site embedded with one of GBMC's other successful primary care practices. A clean, modern facility in a safe setting. GBMC is a 281-bed medical center (acute and sub-acute care) located on a beautiful suburban campus and handles more than 26,700 inpatient cases and approximately 60,000 emergency room visits annually. Since its founding in Towson in 1965, GBMC's accomplishments have validated the vision of its founders to combine the best of community and university-level medicine. GBMC's main campus also includes three medical office buildings: Physicians Pavilion East, Physicians Pavilion West and Physicians Pavilion North I. 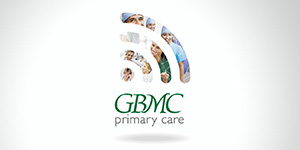 In addition to its main campus located in Towson, GBMC primary care offices are located throughout the Baltimore County community. 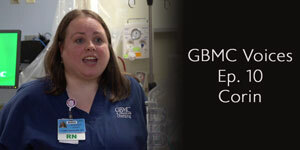 GBMC is particularly proud of its transparency regarding safety and quality. 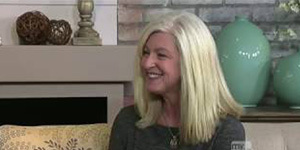 Check out what we're doing for patient and quality measures. Our residents receive second-to-none instruction in all areas of the clinical experience. From chronic disease management and preventive health care, to management and business aspects of the modern primary care practice. Continue Reading How many PGY-1 positions do you have? How many beds are there at GBMC? There are a total of 231 licensed beds. How many admissions are there to the medical service annually? There are approximately 10,000 annual submissions. What is the average daily census on the medical service? Interns typically admit 3-5 patients with up to an additional 2 transfers. Average intern census is 4 patients. Average resident census is 10-15 patients. 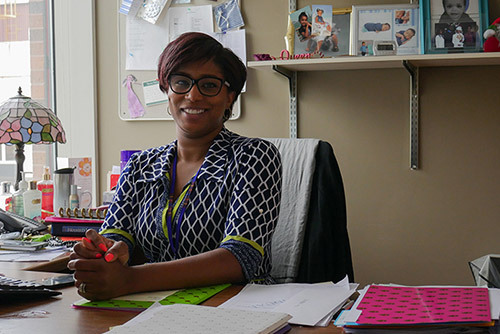 What types of careers do the program's graduates pursue? 22% pursued careers as primary care physicians. 35% practice as Hospitalist physicians. How often are residents on call? PGY-1 residents do not have night calls during the first 6 months of the year. 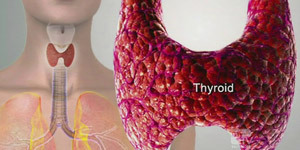 During the initial 6 months they have an average of 2 long calls (16 hours) each week during their general floor months. In the latter 6 months, interns will have night calls on a rotating shift schedule. 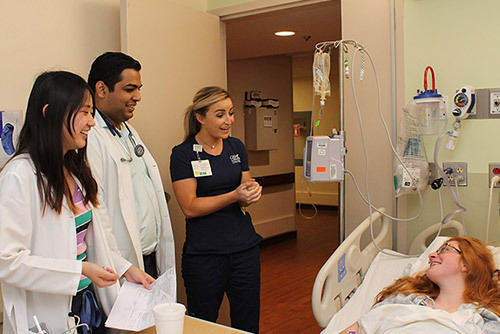 Critical Care interns follow a rotating shift schedule for the whole year. PGY-2 residents have 4 weeks night float duties. PGY-3 residents have a total of four 1-week night float rotations. 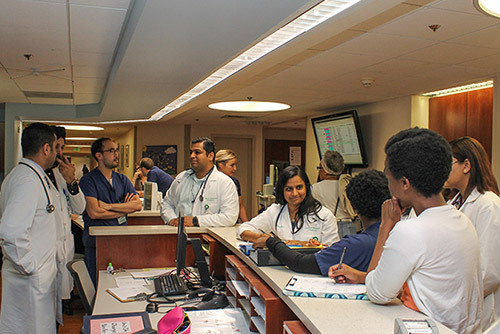 General medicine residents have call two 14-hour nights during their one month general medical floor rotation. 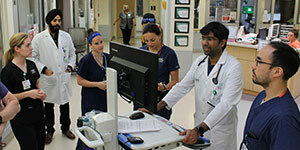 Critical Care residents work twelve hour shifts. What will my employment contract look like? View the actual contract used for the 2016-2017 academic year residents. We are expecting no significant changes for next year's residents. What kind of visas do you accept for graduates of foreign medical schools? Given the complexity of the current immigration process, we give some preference to United States citizens and permanent residents. We do, however, encourage applications from outstanding applicants of any background. Historically we have supported applications for J-1 visas for a couple applicants each year. We have not needed to resort to the H-1 process and are unlikely to do so in the future. Do you require clinical experience in the United States? Externships and medical school rotations in American hospitals are invaluable in helping us identify extraordinary candidates. We do not, however, require such experience. Do you have a cut off for USMLE scores? In general our residents have excellent board scores, averaging in the 240s on both USMLE Step 1 and Step 2. We typically do not grant interviews to candidates who have ever failed a step of the USMLE. Unless an applicant has a particularly superb record, we discourage applicants who have graduated more than 5 years ago. Do you accept applications from international medical graduates? Our goal is to matriculate the highest quality intern class possible. We frequently have excellent candidates from overseas institutions. Do you have medical student clerkships, externships, or observerships? Unfortunately, we do not offer any observerships.